In this video, Motives Certified Trainer, Tiffiny Luong, teaches us how to apply complete eye makeup for mature skin. Tiffiny advises us that for mature skin, you should not use a matte finish on eye makeup. In her many years of experience, a matte finish will show every single fine line and wrinkle. Stay away from matte finish, except on the brow bone or while blending. Apply Motives Eye Base to the eye lids using a concealer brush. The eye base will help the eye shadow last longer and help the pigment pop. Think of Motives Eye Base as foundation for your eyes. Apply the brown color (top right) from Motives Boxed Beauty to the outside edge of each lid. 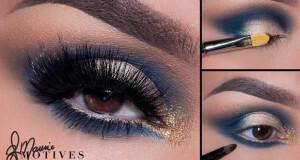 Alternately, you could use Motives Pressed Eye Shadow in “Cappuccino” or “Vino“. 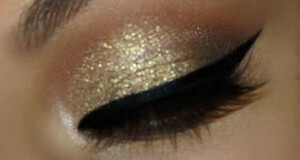 Then, blend the eye shadow across the lid. Next. 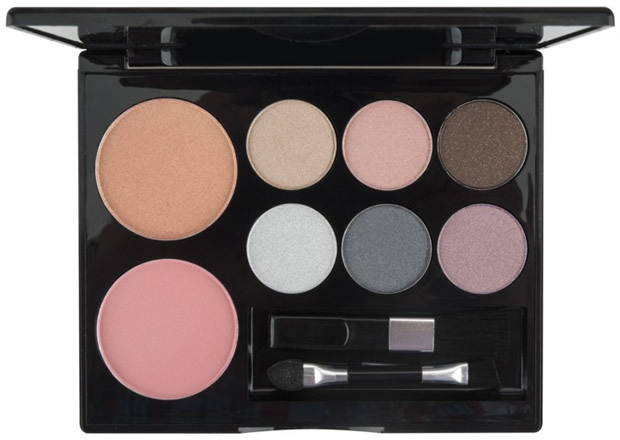 apply the light color from Motives Boxed Beauty right at the middle of the lid. This will, visually, open up the eyes. Use a round brush to apply the pink eye shadow color, from Motives Boxed Beauty, along the crease using a windshield washer motion. Then blend with the brown that you applied earlier. Use the golden blush from the Motives Boxed beauty below the eye brows. 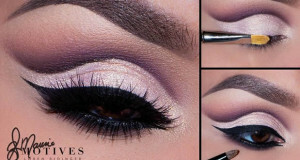 Apply Motives Liquid Eyeliner to line the top of each eye. Finish with a little tail. For mature skin, you should use a Motives Detailing Brush to soften the line. Sharpen your Motives Khol Eyeliner and line the bottom of each eye with a very thin line. Use the Motives Detailing Brush again to smooth out the bottom lines. Apply just a little more of the original brown color, from the Motives Boxed Beauty, to soften up the bottom line just a little bit more. Apply a little bit of the light color, from the Motives Boxed Beauty, to the inside corner of each eye to help the eyes pop. Next, use Motives for La La Mineral Volumizing & Lengthening Mascara for volume. Mascara is very important for a finished look. Use the Motives Essential Brow Kit to complete your eye brows. Use the eye brow color that is two shades darker than your hair. Complete eye brows can instantly give you an appearance of being 10 years younger. I am not going to post the first video in this series because Tiffiny used the Motives Ageless Renewal Foundation which has since been discontinued. I will, however, follow up this post soon the next steps in a complete look for mature skin: Bronzer, Blush, Lips and Set. Be sure to keep an eye out out for it. Or, better yet, Subscribe to Motivated Style and it will be delivered to your email.